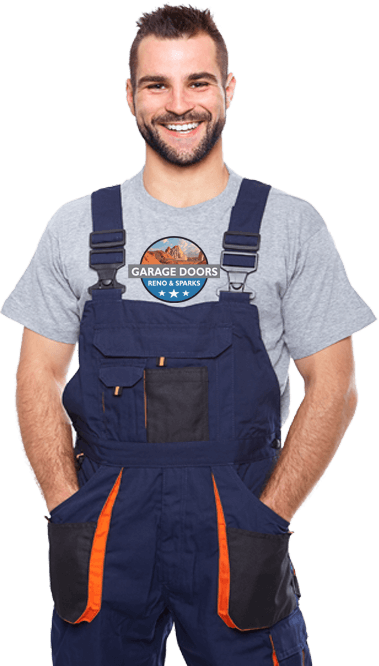 Our Certified Trained Technicians Are Ready To Repair Your Garage Door Right Now. Fast. Professional, 24HR. 24/7 Emergency Service. A+ Rating By The BBB. Quick. Professional, 24HR. Family-Owned & Operated. Family-Owned And Operated. both residential and commercial customers. We also offer consultation for those customers who may not be quite sure what type of garage door style they want or need. Very large homes with extravagant garage space may need a variety of doors in two or even three sizes. Individuals with high profile RV garages will need garage doors that are greatly oversized in terms of general residential applications. Commercial customers generally also need tall, oversized doors. We are happy to advise and to make suggestions that suit customer needs well. We are local installation pros in the Reno, NV and Sparks, Nevada area with experience in all facets of garage door fitting and repair. Call us at (775) 500-1009. Garage door systems are not complicated, but every component of each system must work properly for the owner to gain the greatest benefit from having an automated garage door. 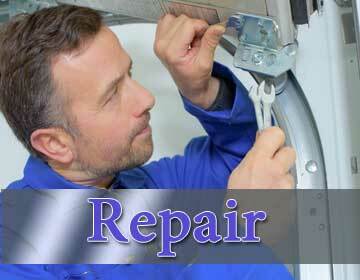 When repairs are necessary, we will assess the problem and make repairs quickly and efficiently. We even offer emergency service. Call us at (775) 500-1009. It is uncommon for the door itself to need to be replaced, but we all know mishaps occur and the door itself can be damaged in a variety of ways including interaction with inexperienced drivers. We can rectify the situation. Irreparable damage to a part of the door does not always mean that the entire door needs to be replaced. We can replace individual panels or sections to return the door to new condition at minimal cost. More often, one or more of the operational components of the door system will need maintenance, repair or replacement. Over time, aging garage doors can come to need realignment followed by balancing. This can occur with the influence of environmental factors, in all areas of Nevada. In the Reno, NV and Sparks, Nevada area of the USA, the climate is semi-arid and can contribute to shrinkage over time. This can create a need for realigning and rebalancing the door, which we certainly can do for you. Components such as the extension spring, torsion spring, door cable, rollers, and hinges can come to need replacement or repair. We can provide the best solution for the problem. We’ll replace parts where replacement is the favored solution, but we’ll simply fix anything that can be expected to have a long life after repair. Call us at (775) 500-1009. The electronic components of the garage door system – the door sensor and the control panel – rarely need replacement or repair. These components can fail or develop the need for repair, however. We will assess the issues occurring and either fix or replace any unit. The route we’ll choose is that which is most beneficial for the customer and best suits the customer’s needs. General maintenance also is important, particularly for older garage door systems or those that get heavy routine use. Maintenance includes inspecting all parts of the system, tightening any loose bolts or screws, replacing weather seal, lubricating all moving parts and checking sensor alignment to ensure efficient operation. We offer Honest Work. Call Us at (775) 500-1009 for service in the Reno, NV and Sparks, Nevada area. Garage Door Reno & Sparks is the only company you will ever need to call for your garage door needs within the entire Reno NV area including Sparks. 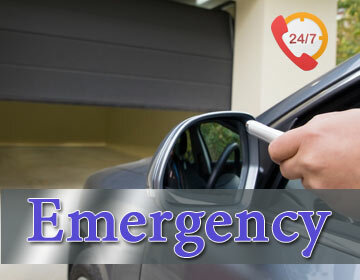 In addition to emergency garage door repairs, we also offer regularly scheduled maintenance. Thank you for professional customer service. I called to this company to fix my garage door. The guy showed up in about 30 minutes. Explain me the issue and what he going to do and after less than an hour he finished. I’m completely satisfied With this service. Thank you so much. The man was so helpful and very attentive. I had an emergency issue with my garage door late at night, and he was very fast and timely to come to assess the next day and fix the problem. I would use him again and will pass along his name and highly recommend him to anyone needing assistance with their garage door. Very skilled. I booked a meeting with him. He arrived on time, figured out the problem quickly and fixed it. Didn't try to sell me anything. Just gave me a great service with a very fair price. Strongly recommended! The Expert and his group were extraordinary. He accepted my approach a Sunday evening and my entryway was settled on Monday by 2 pm. He was extremely mindful and not once attempted to offer me on something that wasn't required, rather, he dealt with my issue immediately and with incredible nature of work. If you don't mind call them in the event that you have any issues with your Garage door. The expert from Garage Doors Renosparks was out on indistinguishable day from I called and worked admirably. He arrived sooner than anticipated however spoke with me routinely. No curve balls and wonderful work! Thank you guys! Shon is awesome. We we’re in a real pinch, snow coming down and the garage door wouldn’t close. We called Garage Doors Reno Sparks and they showed up in an hour, completely professional and fixed our door. Thank you, Shon! Solid administration! I asked online and very quickly got a callback despite the fact that it was nightfall. We set up an apart for the next day and after a snappy appraisal had everything arranged. Fast, legitimate and repair estimating. You can't request considerably more in a contractual worker.